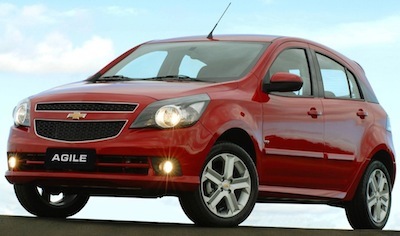 The Chevrolet Agile is a subcompact car developed by General Motors and sold in Latin American markets. Previewed by the GPiX Concept, the Agile was developed by GM Brazil and is manufactured in Rosario, Santa Fe, Argentina. Like its brother, the Montana pick-up, the Agile rides on a modified Gamma platform.